Love all types of cheese? 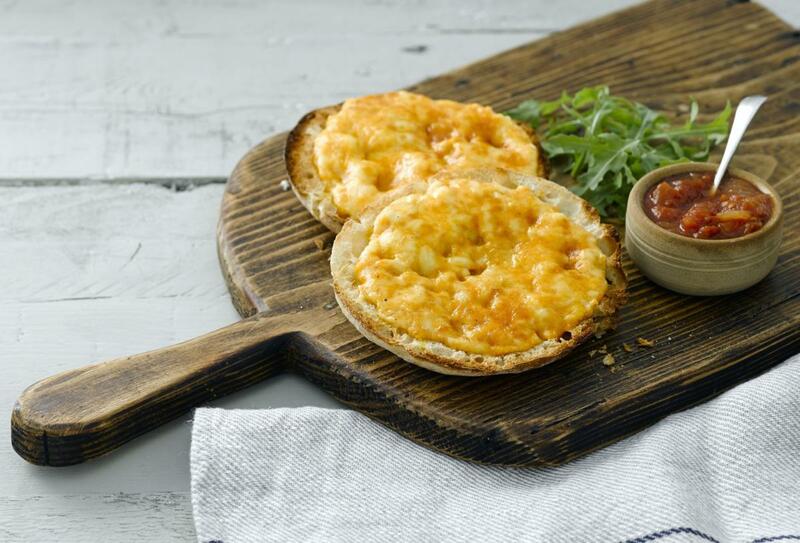 Our Yorkshire Rarebit is perfect for you, very tasty and very cheesy! Step 1. Add the Black Sheep Ale, whipping cream, Worcestershire sauce, seasoning and mustard to a pan, whisk together and bring to the boil. Step 2. Simmer the ingredients and reduce by about a half, this will take about 10mins. Step 3. Take off the heat. Step 4. Mix the grated cheeses together in a bowl. Step 5. Add the reduced cream and Black Sheep Ale liquid, and mix thoroughly until you have a thick paste. Step 6. Transfer the mixture into a parchment lined container such as a loaf tin. Step 7. Press down very firmly to ensure the mixture is tightly packed into the tin. Step 8. Refrigerate for at least two hours until set firm. Step 10. Place one slice of Yorkshire Rarebit onto a crusty slice of bread - ciabatta works really well, it needs to be crisp rather than a soft bread. Step 11. Place in the oven on 200c for 10mins and serve. Perfect with a garden salad and home-made tomato chutney. Yorkshire Rarebit can also be served on jacket potatoes, gammon steak, chicken and fish. I like and use a lot of your recipes but perhaps suggest Hendo’s (Henderson’s) Yorkshire Relish, in favour of Worcestershire Sauce. It is every bit as good and a lot cheaper. Yorkshire Relish for Yorkshire Rarebit!